“Sad Beauty” is a female friendship story, punctuated by a shocking Quentin Tarantino-esque murder incident that puts the two companions on the road. 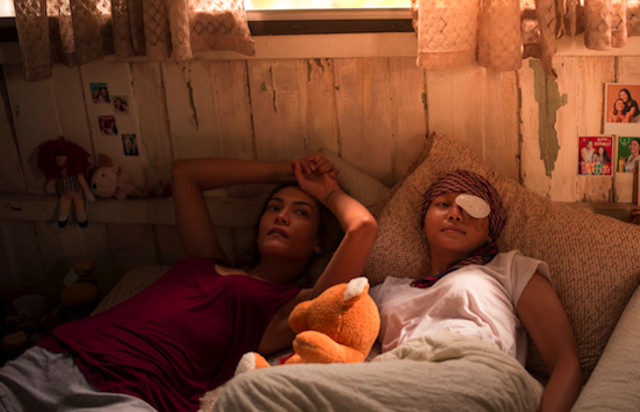 Yo (Florence Faivre) is a fading Thailand film actress whose loyal friend Pim (Pakkawadee Pengsuwan) finds out she has cancer. In the course of one year, as Pim fights the disease, the friends become closer and more distant, depending on the circumstances of their meet ups. The unique insider view of celebrity excess in Thailand is combined with the tenderness of loss and the toughness of two women who rely on each other. The director of “Sad Beauty,” Bongkod Bencharongkul (also known in Thailand as Bongkoj Khongmalai), is a popular actress in as well, known for the film “Tom Yung Goong” (2005), among others. 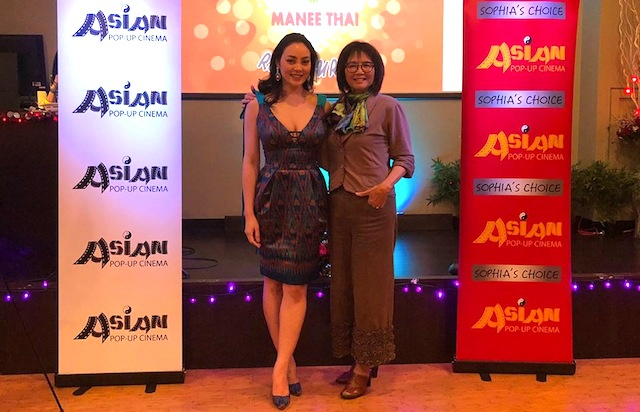 She began as a co-director in 2003 with “Angel: Nang Fah” and went solo for the first time this year with “Sad Beauty.” In anticipation of her appearance at APUC, Bongkod Bencharongkul sat down with a translator, for the following interview with HollywoodChicago.com. HollywoodChicago.com: You seem to want to tell everybody that behind the glamour and beauty of being a film star, there is real life sadness like everyone else. Why do you believe that people think because you’re a movie star, that your life doesn’t have hardships like everyone else? Bongkod Bencharongkul: Of course, celebrities are not immune to hardship. In Thailand, however, the audience never want to hear about it. They are too caught up in the glamour, and don’t want to hear about any problems. On the flip side, Thai celebrities don’t share information about problems as readily as other places. HollywoodChicago.com: You present death in ‘Sad Beauty’ in a couple of ways… through a person gradually dying of cancer and in the suddenness of instant death. What makes those two deaths different in the way you think about death? Bencharongkul: The gradual death of disease is much sadder than the shock of instant death. The ‘sad beauty’ of the title refers to the agony of experiencing a person who is close to you go through that gradual loss of life. HollywoodChicago.com: The character of Yo is in demand as a celebrity, and is often treated unfairly in the press because of her movie star lifestyle. What do you think is lost in life when you can’t trust people to be fair to you in what they demand of you? Bencharongkul: In the film, Yo was past the peak of her film career, and was actually sliding downward. When I was going through my early days in the film business, the trust issue was always front and center, and I had to get used to it. There wasn’t any big lack-of-trust event that occurred, it was just constant. Even when it hurt, I had to learn to get used to it. HollywoodChicago.com: This film is based on your real life events. In working with the two actors for the film, what secrets about your real life did you give them to make their characters more authentic? Bencharongkul: Although based on things that happened to me, it wasn’t me completely. There was nothing I told the actor portraying Yo, but I tell some things to Pakkawadee Pengsuwan, who portrayed Pim. The great thing about her portrayal, is that her personality was very similar to the friend I had who passed away. Because of that, I didn’t have to tell her that much, her talent understood the character. HollywoodChicago.com: Your husband is executive producer, and suggested the murder element that shifts the tone of the film. Once you put it into the story, how do you think it changed the journey of the two friends? Bencharongkul: I did agree with my husband, because it would be difficult to sell a story that just involved two women friends. As far as their relationship was concerned, it didn’t change it that much, because most women want to kill a man. [laughs] The story struck a balance between extreme events in mainstream films and relationships in independent films. HollywoodChicago.com: Finally, how does being an actor make you a better director, and how does being a director who acts allow you to work better with actors? Bencharongkul: I don’t pressure an actor to portray something that isn’t working for them. Also, going forward I will never complain about waiting on a film set, because I completely understand set ups for shooting a scene, and being on the other side of that camera. HollywoodChicago.com: Is it easier to get a performance out of someone because you understand what it’s like to have a director tell you what to do? Bencharongkul: In Thailand, we’re not taught so much to be actors, as much as cultivating an image and being a celebrity. The production of films are different, and we come to a film set with less of a preconceived feeling on how we’re going to act a certain part. Season Seven of the Asian Pop-Up Cinema continues with “Sad Beauty” on September 26th, 2018, at the AMC River East 21, 322 East Illinois Street, Chicago. Director Bongkod Bencharongkul will appear on behalf of the film. For a complete overview of Chicago’s Asian Pop-Up Cinema, click here.